When you hear the name "Detroit," odds are you picture car factories, and it’s not hard to see why. Michigan’s largest metropolis rose to fame as the headquarters of Ford, Chrysler, and General Motors, earning it nicknames like "Motor City" or "Motown." But as effective as it is at creating cars, Detroit is by no means limited to the automotive industry. The town is every bit as important for its contributions to nanotechnology, bioscience, alternative fuels, and a host of other cutting-edge innovations. By providing safe but swift air cargo services, AirFreight.com keeps all these industries at the top of their game. To understand Detroit’s complex logistical needs, it’s important to consider all the difficult shipping requirements that its businesses and research labs have. Automakers, for example, have to bring in a wide variety of delicate parts, many of which are manufactured in distant parts of the United States or in Canada. Likewise, bioscience researchers need raw materials and equipment that are highly perishable, meaning they cannot be on the road for long. Since many of these companies work on tight schedules, they also can’t afford to wait more than a few days to receive their inputs. Given the limitations of traditional ground shipping, this creates a serious challenge for the town’s businesses. AirFreight.com offers a simple and robust solution to Detroit’s shipping issues: air freight delivery. We schedule space on cargo airplanes, or charter new flights entirely, to bring businesses in the Detroit area the supplies they need on even the tightest schedules. 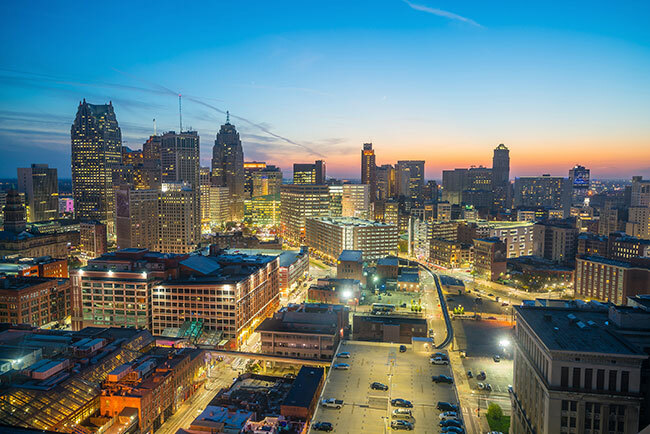 Not only do we deliver to Detroit proper, but we work with airports all over the region, including in Pontiac, Warren, Troy, Flint, Ann Arbor, Lansing, Novi, Toledo, and Southfield. Critical Freight Expertise - Our team has worked with hundreds of businesses across dozens of industries, and has a detailed understanding of each field’s unique shipping needs. No matter who you are or what you need shipped, we will be able to deliver it safely. Vast Networking - We have coverage and personnel all over the United States and Canada, from Miami to Toronto to Seattle to LA. This allows us to quickly ship goods into the Detroit area from any starting point, as well as to fly goods from Detroit to any endpoint. 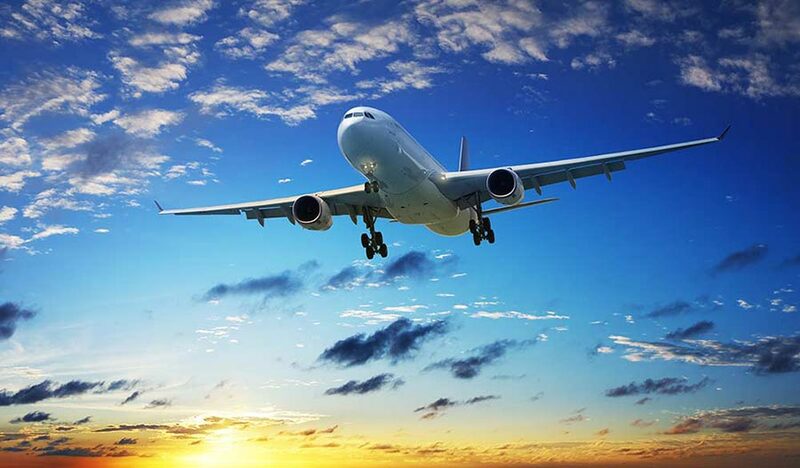 Airline Connections - We work with a variety of airlines that offer air cargo charter and scheduled services. We evaluate each of these providers in detail before working with them, making sure to select only companies that can ensure safe and swift deliveries. Advanced Tracking - We track your goods while they are in the air using the latest equipment. As a result, when you call our 24/7 customer service line for information on your order, we will be able to tell you its exact location. Our tracking also allows us to respond quickly if a flight gets off schedule. For more information on air shipping in Detroit or to obtain a free estimate for your company, contact AirFreight.com today at (313) 887-0577.